These two players met once in the first round of Australian Open 2016 when Kei Nishikori scored a comfortable straight set win. Kei Nishikori is the better player of these two, but the three-hour match he played on Wednesday could have an impact on his wrist (hasn’t recovered fully yet) which gives Kohlschreiber a fair chance in this contest. Kei Nishikori defeated world #4 Grigor Dimitrov in three sets to progress into the round of 16 at the Rome Masters for the fourth consecutive season, 6-7 7-5 6-4. The first set of both his matches this week went to the tiebreaker, 7-6 6-4 against Feliciano Lopez in the first round. The manner in which he secured the win against Dimitrov (comeback performance and fought for three hours) must be hugely satisfying for the Japanese #1, who still seems to be on the comeback trail (wrist surgery). After progressing to the semifinal and quarterfinal of the Rome Masters in 2016 and 2015, Kei Nishikori was knocked out by Juan Martin Del Potro in the round of 16 here in 2017. 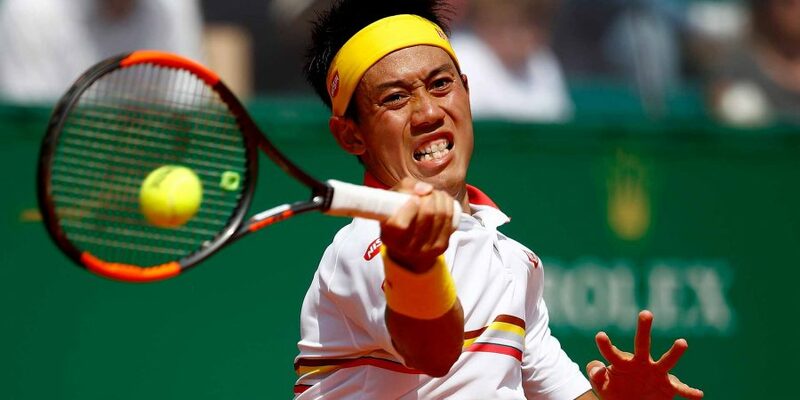 Though Kei Nishikori is nowhere near his best in 2018 (coming back from the surgery), the former world #4 still managed to deliver some good results such as the runner-up finish at Monte Carlo, semifinal at New York and winning the title at Dallas Challenger. Signs are that he is only going to improve from here. Philipp Kohlschreiber, who played out a roller coaster first round match with Karen Khachanov earlier this week, piled more misery on Jack Sock by handing the American his 11th defeat of the season, 6-4 6-3. Having made a slow start to the season, the German has gained a lot of momentum in the recent weeks by posting some good results at Indian Wells (QF), Monte Carlo (R16), Munich (F) and Madrid (R16). However, most of Philipp Kohlschreiber’s defeats this season have come at the round of 16 stage. He has entered ten tournaments on tour (excluding Rome Masters) and faced R16 exits in five of them. Moreover, the former world #18 Kohlschreiber has never progressed beyond the round of 16 in his previous eight appearances here at the Rome Masters. He lost his previous two R16 matches to Novak Djokovic in 2014 and David Ferrer in 2013.